A: Chabad is a worldwide movement that spreads Jewish awareness to all Jews, men and women, old and young. Its roots are in White Russia in a small town by the name of Lubavitch. 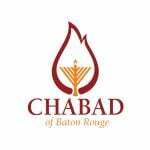 The word Chabad is an acronym for Chachmah, Binah, Daas, which means wisdom, understanding, and knowledge. The idea is to turn intellect to action. Simply put, Chabad's message is "don't just think it, do it". This is exactly what Chabad does. Chabad Houses can be found in every part of the world, such as, Tasmania, Russia, Hawaii, and Bangkok and in each one of those places Chabad is doing everything it can to help Jews lead a more meaningful Jewish life. Today, there are over 3000 Chabad centers in 50 states and 75 countries. A: Chabad provides an environment where Jewish students can take ownership of their Jewish identity - socially, intellectually, spiritually, and culturally. Chabad also provides kosher Shabbat and holiday meals free of charge to students. Rabbi Kazen & Mushka have knowledge in many areas of Judaism, and are ready to listen to your concerns and answer your questions. Most importantly, Chabad is a home away from home for the students.